Home › Blog › Black Garlic for Dessert! 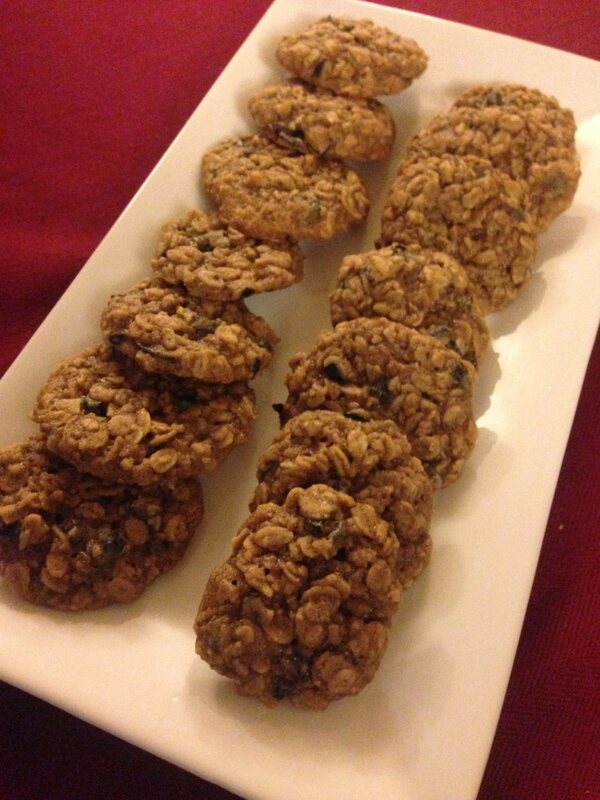 Unusually familiar and different at the same time, these Oatmeal and Black Garlic Cookies took 1st place at the 2014 Corks and Cookies Competition in Delaware. What we found most interesting is their wide appeal from kids to grown-ups. Sure, the traditional raisin kind is healthy, but can't compare to the antioxidant punch of our organic black garlic. After the initial sugar rush, black garlic takes center stage and pairs wonderfully with the oatmeal. We detected a slight tingle on the lips, even after the cookie was long gone. Using a stand mixer fitted with paddle attachment, cream the softened butter, brown sugar and granulated sugars together until smooth. Add the room temperature eggs and mix on high until combined, about 1 minute. Scrape down the sides of the bowl as needed. Add the vanilla and molasses and combine and mix. Set aside. In a separate bowl, toss the flour, baking soda, cinnamon, and salt together. Add to the wet ingredients and mix until combined. Add oats and black garlic to the mix, ¼ c. at a time. Dough will be thick, but very sticky. Chill the dough for 45 minutes in the refrigerator (this will keep the cookies from spreading too much). Preheat oven to 325F degrees. Line two large baking sheets with parchment paper. Spray lightly with olive oil spray. Roll balls of cookie dough, about 1.5 tablespoons and place 2 inches apart on the baking sheets. Bake for 5 minutes, rotate and bake for another 5 minutes until lightly browned on the sides (7 minutes and rotate if you like your cookies a bit more crunch). The centers will look very soft and gooey. Remove from the oven and let cool on baking sheet for 5 minutes before transferring to a wire rack to cool completely.